HOW DOES OUR CLINICAL PILATES PROGRAMME HELP? ProHealth Sports and Spinal clinical Pilates programmes are categorised into three core levels of principles. A physiotherapist will always conduct a thorough one-on-one initial assessment. Assessment of task specific activities that you want to improve on i.e squat technique, golf swing for golfers etc. This level is for anyone wanting to gain an understanding of basic core strengthening/ Pilates principles. This will be incorporated initially to static positions then progressed to simple lower limb and upper limb movements. You can then take these principles away and incorporate them into your daily practices, postures and exercise routine. We will also look at applying these basic principles to more task specific activities depending on your progress. The information you will learn in this package is highly specific. Real Time Ultrasound is used to isolate your core muscles and teach you the correct methods of activation, something that is not ordinarily available at an exercise class environment. This package is appropriate for beginner level practices. We will progress to higher level activities once the basic techniques have been mastered. This package is ideal for those looking to incorporate Pilates safely as part of their fitness routine and under the one-on-one guidance of a trained physiotherapist. This package is for those who would like to continue using clinical Pilates as a component of their fitness schedule or someone who requires more extensive rehabilitation. Recommended for higher level athletes, you will be assisted with mastering clinical Pilates techniques that reinforce correct bio-mechanical patterns. 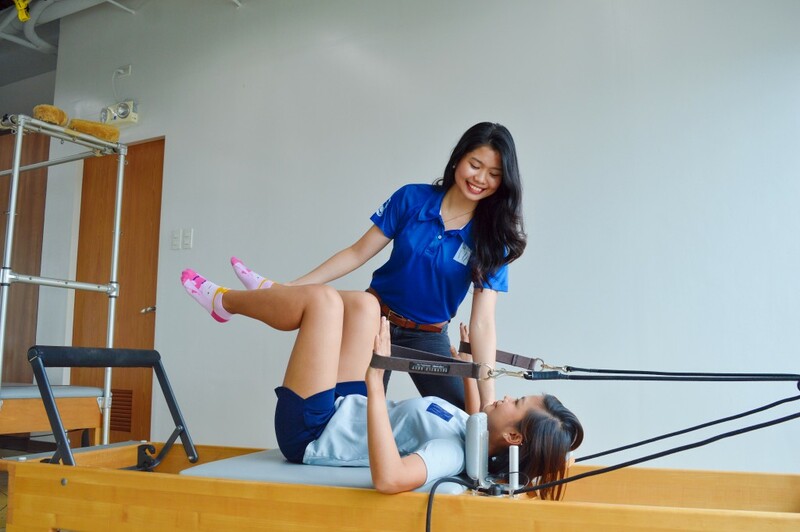 * All clinical Pilates sessions are conducted one-on-one with a qualified physiotherapist. Q: WHAT IS CLINICAL PILATES AND ITS BENEFITS? Safely and effectively exercise your individual body to optimise and address movement patterns. Achieve health goals not limited to core strength, flexibility, global muscular strength and endurance. Achieve high level athletic performance. Q: WHAT’S THE DIFFERENCE BETWEEN YOGA AND PILATES? Yoga is recommended for those without previous injury or pain to achieve increased flexibility. Since yoga works into end-of-range postures, those without a proper understanding of body mechanics can be at a higher risk of injury. That’s why, clinical Pilates is an ideal way to increase strength, flexibility, coordination, endurance and fitness without increasing the risk of a ‘flare-up’ or injury. Q: WHO CAN BENEFIT FROM CLINICAL PILATES? Anyone can benefit from Clinical Pilates. For the majority, we all have idiosyncrasies in our movement patterns that can lead to bio-mechanical inefficiencies, which in-turn can manifest in a variety of ways, including but not limited to poor training capacity, increased risk of injury, re-occurring injuries, inability to develop or consolidate skills etc. Here are some exercises which demonstrate the different levels of clinical Pilates. All sessions are conducted one-on-one with a certified clinical Pilates instructor/ physiotherapist who will custom plan and facilitate these exercises to work on your conditions.